Background of the invention-the idea came when several winters in a row inventor?s rural type mailbox was hit by snow plough and destroyed. The traditional 2x4 support was hard to reinstall in winter conditions with the frozen ground. 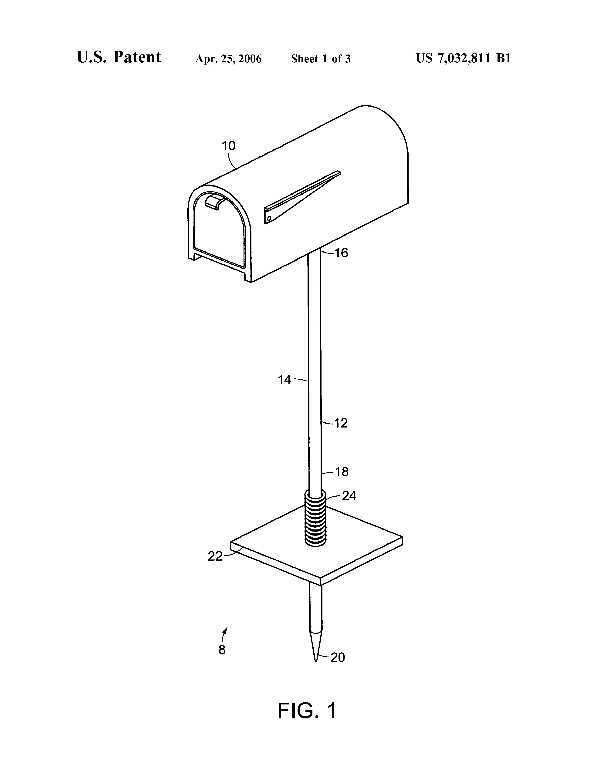 As a solution a basically indestructible mailbox was invented. When hit it either flexibly bends or pops out from the ground when hit real hard. It could also be spread over in Southern States as well. -indestructible- the top spins when hit or would disconnect when hit hard and then can be reinstalled easily. -the top is rubber made, could be run over by a truck and restore itself to the original form. Could be sold at Home Depot, Lowe?s, K-Mart, Wal-Mart, on QVC channel . US Market- 30 million homes, and 1 million new homes being built every year also has sale potential in Canada. We will consider leasing options as well. 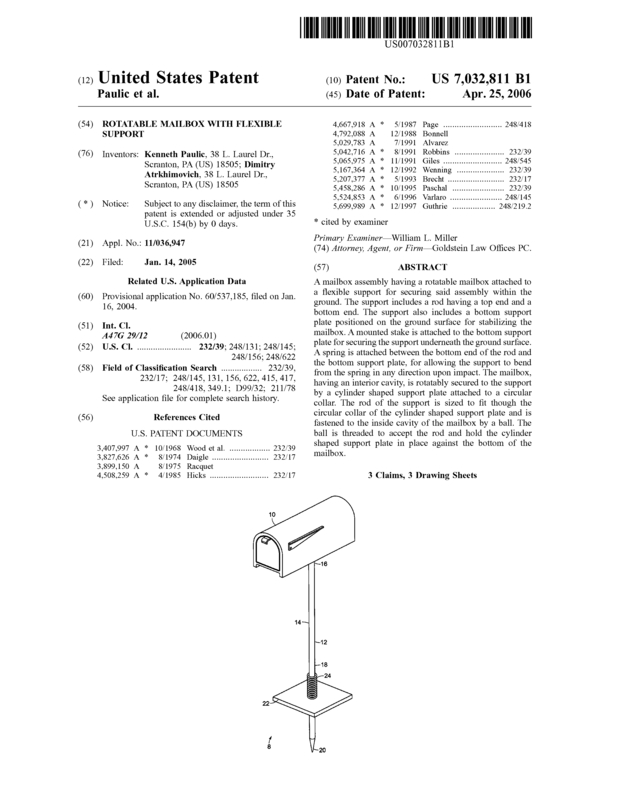 Page created at 2019-04-26 17:53:16, Patent Auction Time.